It's nice to see some type of conservation in DC. The National Park Service started this small wetlands area near the Washington Monument. 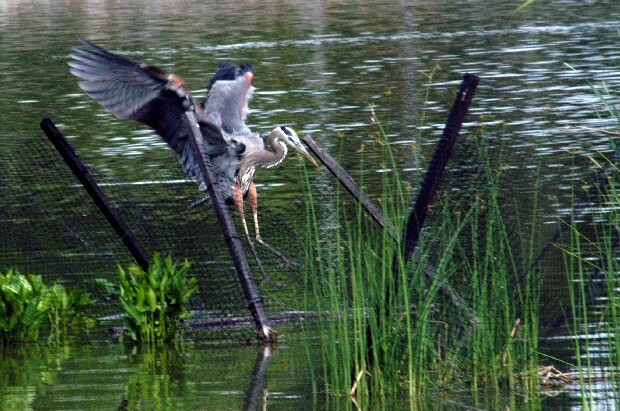 In the past year they have added netting and water grass to complete the ecology for attractive water fowl. Birds in the area like ducks and this Blue Heron seen landing seem to like the extra micro terrain in the pond.